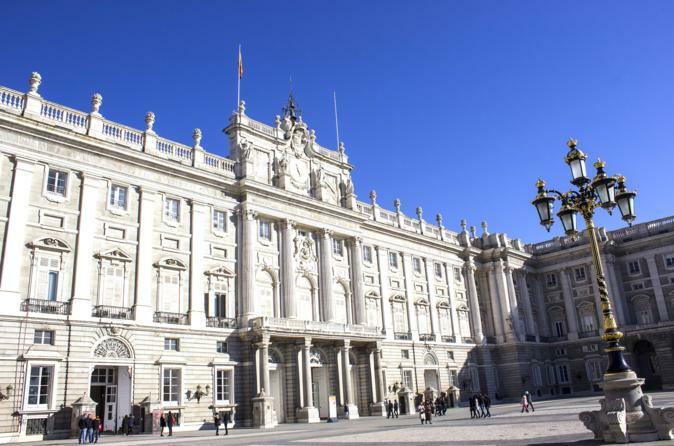 Madrid’s Royal Palace must be seen to be believed. This Royal Palace Tour will give you a detailed, all-access visit with an expert professional guide, to make sure you miss nothing of this spectacular building. Visit the Throne Room, the Hall of Mirrors, the Banquet Hall and the private Royal Apartments, seeing a stunning array of tapestries, ceramics, old watches, swords and army and famous artworks by grand masters such as Goya and Velázquez. Learn how the Spanish Royal Family have lived throughout history and how they live today – seeing in the different of the building how Spain’s turbulent history and rise and fall of empire have had a profound effect on the lives of its Royal Family. On board the Tapas Bus, you will be able to enjoy, how you want to enjoy the best views of Madrid, with a panoramic guided tour of all the key places in Madrid that you can’t miss. Let the expert professional guide on the bus tell you of the history behind the beauty of Paseo de la Castellana, the Puerta de Alcalá roundabout and the Retiro Park. Enjoy the amazing views of the huge skyscrapers in Plaza Castilla, learn about Real Madrid and its Santiago Bernabéu stadium, and ride along the beautiful streets of Madrid’s city centre.